Did you ever have an opportunity that you didn’t go for because you didn’t feel like you had the social skills and social confidence to do it? Do you sometimes feel like you cannot ask for what you truly want like a date or a meeting because you fear being rejected or you don’t know what to say? Do you feel shy or nervous in social situations to the point that you feel you can’t be your true self or may even sometimes avoid such situations completely? Do you feel socially stuck or more alone than you would like to? And do you think you’d have more success in life if you had sharper social skills? I used to be in that place. It was most of the time no fun at all. It was quite often painful. And I know many are still in such a place today in different ways and to various degrees. That is why my 12-week course called The Smart Social Skills Course is all about understanding and improving your social skills and relationship habits step-by-step. So that you can live up to more of your untapped potential and find the happiness and success that is out there in the world waiting for you. I think my story with social skills is a pretty common one. I was deathly shy, especially around women. To the point that I hadn’t had a date in several years. I quite often found it hard to come up with things to say or to start a conversation in school, at a party or at some kind of meeting. So the # 1 thing for me was to get better socially. Because I wanted to feel more confident and less shy. Be able to connect better and deeper with people. And I wanted to be socially free and have the skills and habits to live and create my life as I wanted. Now, not having helpful social skills can be terribly restricting. It can sometimes feel like life never seems to really start for you or truly grow compared to the people you see around you as they express themselves genuinely and confidently, go on dates and seem to be at ease with meeting new people. But this is not something that is set in stone. Over the past years things have changed a lot for me. A part of me is still introverted, I still love to read and to be by myself for some time each week. But I am also in an awesome relationship with a wonderful woman now and have been with her for the last 8 years. And I have become so much more confident and relaxed socially. Nowadays it feels fun and exciting instead of nerve-racking to connect with people. Now, all of this is not something that you can change completely overnight. And this course is not a magic bullet. And taking it will not lead to a perfect social skills or relationships where there will never be a negative situation again. But if you practice and put in the work then you can make a huge, positive difference not only in your own life but in the lives of the people in your world. And in the lives of people you haven’t even met yet. In this course I’ll give you the tools to improve your social skills and habits and then you can run with it week after week and month after month on the winding path towards your own small and big and awesome dreams and goals. Many of the strategies, techniques and exercises in this course are things I have never even mentioned on my blog or in my newsletter before. Be calmly confident and deep down feel like you truly trust yourself to be able to handle and be successful in for example meetings, job interviews and on dates. Overcome shyness and social nervousness so that you can have the inner freedom to create the social life you want. Reduce approach anxiety and start a conversation with anyone by using 3 simple steps. Not let rejection – or the fear of it – hold you back anymore or sting as much as it used to. Consistently make a great first impression. Become a better listener and improve one of the most underappreciated skills for deeper and better relationships. Not get stuck in awkward silences in conversations. Understand and adopt the giving and positive attitude that makes any relationship or conversation more rewarding. Stop being unassertive and become someone who can ask for what you want in life and say no to the things you don’t want. Adopt the essential habits of kindness and acceptance and through that improve not just relationship with other people but also with yourself. Give and receive criticism in ways that will be more effective, healthy and a lot less painful. Handle toxic and difficult people in your life. Simply feel less lonely and find more happiness, fun and enjoyment in both new and old relationships and in your daily conversations. For each of the 12 weeks of the course you'll get a short guide in PDF format with just a couple of clear action steps at the end of the guide to take that week. And, as I mentioned earlier, many of the things in this course and guides are things I have never even mentioned on my blog or in my newsletter before. You not only get a written guide each week. You also will receive one worksheet per week in PDF format containing in many cases absolutely essential exercises to help you to better understand yourself, your own situation and social skills and how to improve them. 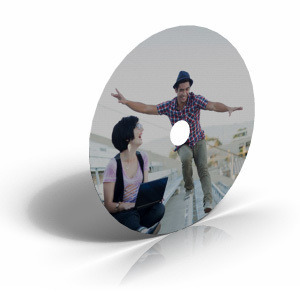 Each week you also get the week’s written guide as a downloadable audio session in mp3 format. It is an invisible help you can take with you, guides you can listen to before a big meeting, an exciting date or just a daily conversation. Bonus #3: The Simple Guide to Dating + Audio Version. A very simple and helpful mindset for dating. Where to go on your first date. The first rule of dating. The one habit that can make your dates go from kind of nice or mediocre to something much more than that. My three powerful guidelines that have helped me to handle rejection a whole lot better. Four of the most common dating mistakes that I and many other people have made and how to avoid those mistakes. Bonus #4: How to Become a Better Conversationalist, Part II + Audio Version. The one habit that makes it easier to have more exciting and interesting conversations. How to give advice or help that gets through to people. 3 simple steps for improving your eye-contact. The practical way to handle people who just take, take and take without giving back. More tips that will help you to become a better listener. Bonus #5: Five Common and Destructive Social Habits (and What to Do About Them) + Audio Version. I, like so many others, have had several common and socially destructive habits that messed up my conversations and relationships. In this guide you’ll learn about 5 such habits and what to replace them with. Always having to be right. 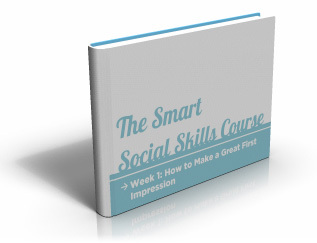 If the powerful exercises, strategies and techniques in The Smart Social Skills Course don’t work for you then I want you to email me and I’ll give you 100% of your money back. With no hard feelings and no questions asked. This guarantee lasts 90 days, which covers the full 12 weeks of the course. So you can try the ENTIRE course and then decide if it’s right for you. There is a time for a real change. A time for creating social freedom and new skills so that you can develop the relationships you’d like and live the life you really want. A time to grow and to explore what you want deep down instead of holding yourself back or being stuck. NOTE: You can get this course in small, weekly parts via email. Or download the whole course today. No matter what option you choose, you'll get an email with easy-to-follow instructions to access the course material. 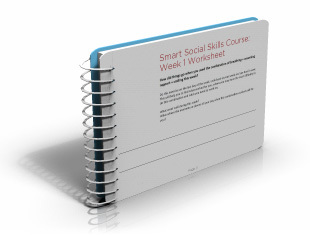 Join us in The Smart Social Skills Course for just $37 (that’s for the whole 12-week course + the bonuses). P.S: I spent many, many years to get to where I am today. I don’t want you to have to spend that much time struggling to find your way out of being socially stuck or shyness and not feeling confident or like you don’t deserve and can’t create the romantic relationships, friendships and career relationships you want. Instead, get a fresh start today. And remember, you have a 90 day, no hard feelings and no questions asked money back guarantee so you can check out the entire Smart Social Skills Course with no risk for you. Copyright Henrik Edberg of the Positivity Blog.